Mamannamana Vijayan was born on October 16 in the year 1941 in Cherpu, Kerala. He is an elite and eminent Indian structural biologist who belongs to India. Mamannamana’s research topic was the protein structures. He did outstanding investigation and research in the area of Biological macromolecular crystallography. He worked in the field of structure carbohydrate of lectin and protein hydration. Mamannamana has also given a lot to the structure and interface of mycobacterial protein and super molecular corporation. His work played an important role in the chemical evolution and preliminary of life. Mamannamana has acquired a lot of eminence and an influential position for his remarkable contributions to the field of science and technology. He is the best Indian biological scientist. Mamannamana was born in Cherpu, Kerala. Mamannamana graduated from the Allahabad University and pursued his degree in M.Sc. in that college. After this, he pursued his Degree of Doctorate in X-ray crystallography. After this, he went to Oxford University and completed his post-doctoral from there. He did his research in X-Ray diffraction for insulin crystals. During his time in the University, he contributed a lot in Biological macromolecular crystallography. In the year 1971, he returned back to India. He joined IISC, in the Molecular Biophysics Unit. He has been associated to many fields as – the Chairman of Molecular Biophysics Unit, the Chairman of the Division of Biological Sciences and the list of his incredible and remarkable work continues. Further he became the Associate Director of IISC in the year 2000 and served in the office till the year 2004. He is presently working as the representative of the International Union of Crystallography, the International Council for Science, the Inter Academy Council and the International Union of Pure and Applied Biophysics. He has been jointly involved in the activities of the science departments and agencies of the Government of India and separate scientific institutions in the nation. He has published more than 260 research papers. He has also trained about more than 38 research students. On the topic of structural biology of microbial pathogens, he has organized a national programme. His area of research has been connected with mycobacterial, specifically tuberculosis, concerned proteins. 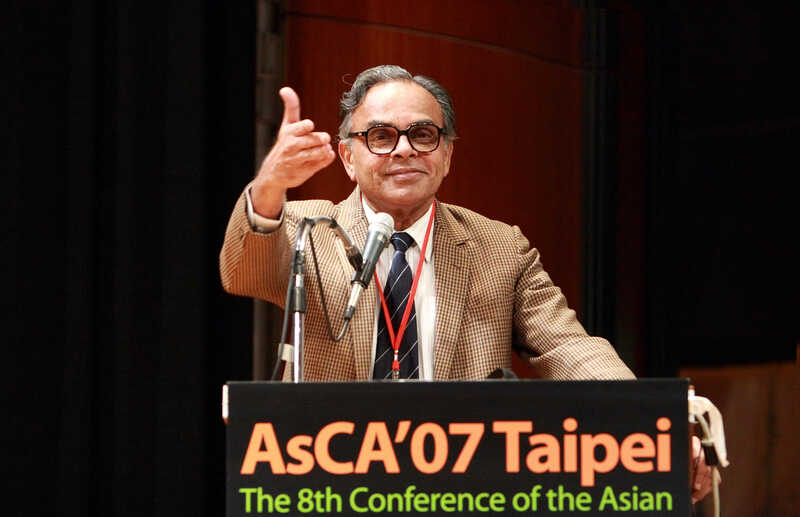 As an Eminent Indian structural biologist, he has contributed a lot to the world. He is a part of the 3 science academies of India and also the Academy of Sciences for the Developing World. He has been felicitated with many awards like – the Shanti Swarup Bhatnagar, Alumni award excel, Ranbaxy award, FICCI award, Om Prakash Bhasin Award. He was also awarded with the Padma Shri. For his incredible and remarkable work in Biological Science and Technology, he has been awarded with the GN Ramachandran Award, Goyal Prize and Distinguished Biotechnologist Award. He has contributed a lot in the field of Science and Technology. He is among the best biological scientists in India. Mamannamana is an Indian structural biologist. He is an inspiration for many people. People look up to him for what he has achieved. People respect and are inspired by him for what he has contributed to Science and Technology. Today, Mamannamana Vijayan has gained a lot in his life. He has been felicitated and honored with many achievements and awards for his remarkable and incredible contributions to science. He has gained a lot of importance for being the best scientist and most influential scientists among India.